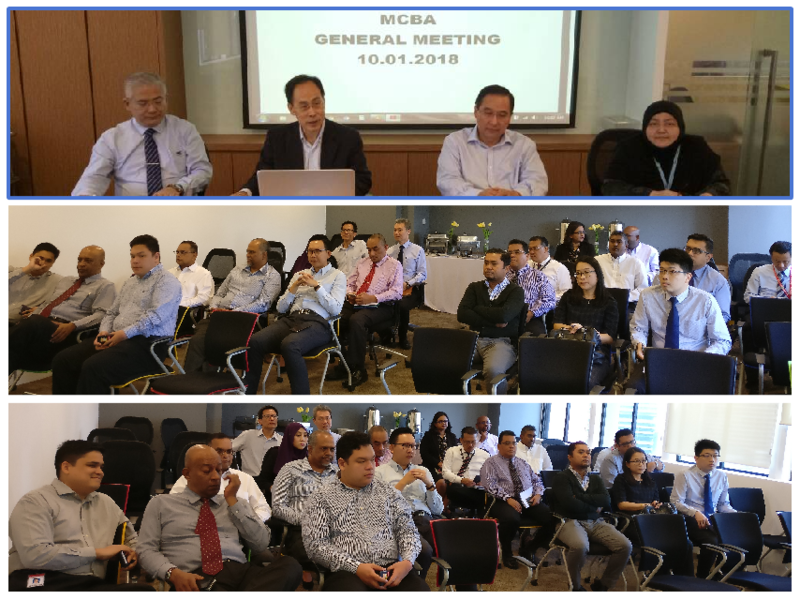 A General Meeting was held at 10.00 a.m. on 10th of January 2018 at the Conference Room of MCBA Secretariat Office to enable members to discuss and review their decision which was taken at the last Annual General Meeting on 18th August 2017 regarding amending Rule 5 (Membership) of the Association. The Meeting was informed of the feedback and advice given by senior officials of the Trade Union Department on the implications if amendments to Rule 5 were to be approved. As an outcome of the review, the General Meeting passed two resolutions related to membership. The first resolution passed was to withdraw the resolution on the same matter which was passed at the last Annual General Meeting and the second resolution was to endorse the proposed and revised amendment on Rule 5 of the Association, as advised by the Trade Union Department. Fifteen member banks attended the General Meeting and the resolution were unanimously passed with one abstention on the first resolution. The EXCO wish to thank member banks for participating in the voting which was done by secret balloting and their support.